If DTC P0340 is displayed with DTC P0643, first perform the trouble diagnosis for DTC P0643. Refer to EC- 353, "DTC Logic". The crankshaft position sensor (POS) signal is not detected by the ECM during the first few seconds of engine cranking. The proper pulse signal from the crankshaft position sensor (POS) is not sent to ECM while the engine is running. 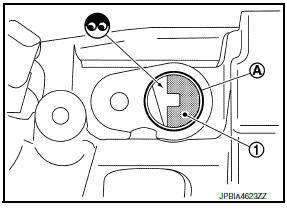 The crankshaft position sensor (POS) signal is not in the normal pattern during engine running. Is 1st trip DTC detected? YES >> Proceed to EC-277, "Diagnosis Procedure". Disconnect crankshaft position (CKP) sensor (POS) harness connector. Check the voltage between CKP sensor (POS) harness connector and ground. Check the continuity between CKP sensor (POS) harness connector and ECM harness connector. Remove crankshaft position sensor (POS). Refer to EM-33, "Exploded View". the crankshaft position sensor (POS) to check that there is no missing gear tooth in the signal plate 1. NO >> Replace the signal plate. Refer to EM-90, "Exploded View" (M/T) or EM-92, "Exploded View" (CVT). Loosen the fixing bolt of the sensor. Disconnect crankshaft position sensor (POS) harness connector. NO >> Replace crankshaft position sensor (POS). Refer to EM- 33, "Exploded View". Check the resistance between crankshaft position sensor (POS) terminals as per the following.